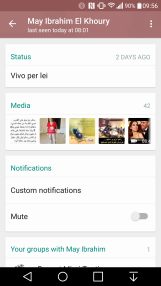 WhatsApp has had a very fruitful and active day, going through no less than 5 updates in the span of 24 hours. The app's developers introduced a series of new options and seem to be fixing bugs with successive iterative updates from v2.12.189 to the most recent v2.12.194. 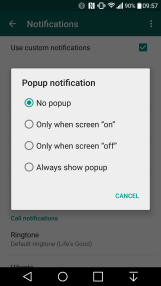 The most significant change in this series of updates is the new custom notifications settings. 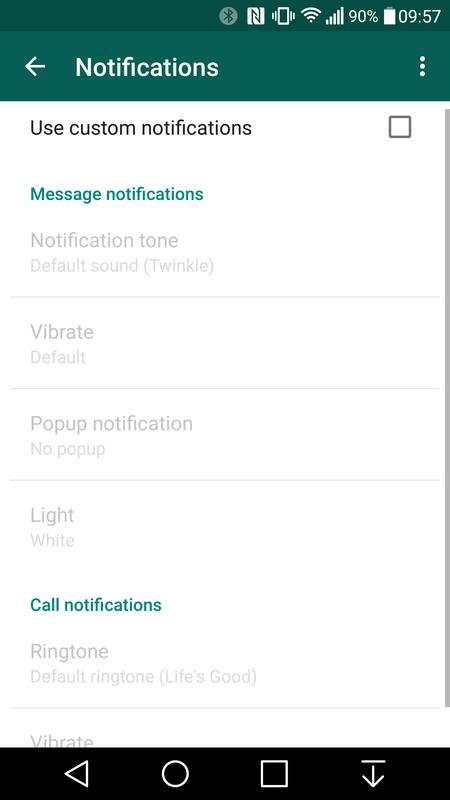 When you open a contact's or group's details page, you'll see a new Notifications box below the Media one. 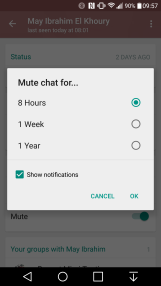 In it is the option to mute the chat for 8 hours, 1 week, or 1 year, as well as extensive custom notifications. 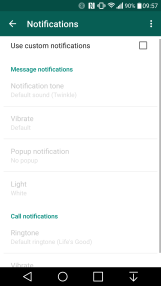 These let you pick a specific tone, vibration length, light, popup notification, as well as the call ringtone and vibration. Another addition to the app is the Mark As Unread feature. 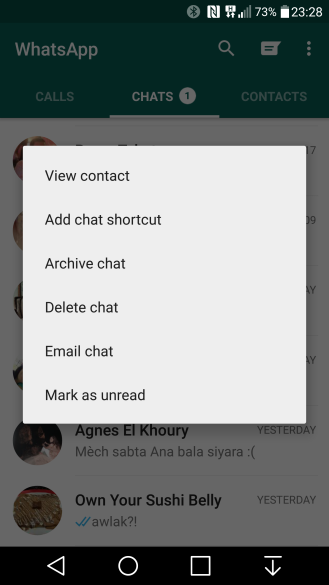 Tap and hold on any conversation and you'll be able to mark it as unread, which switches its status to green but doesn't affect the read messages status inside the chat or its chronological rank among your conversations. 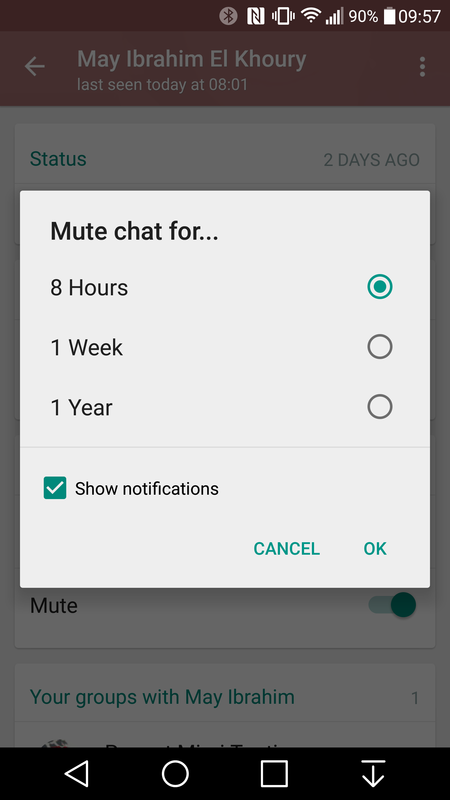 It could serve as a visual reminder when you want to get back to someone later. 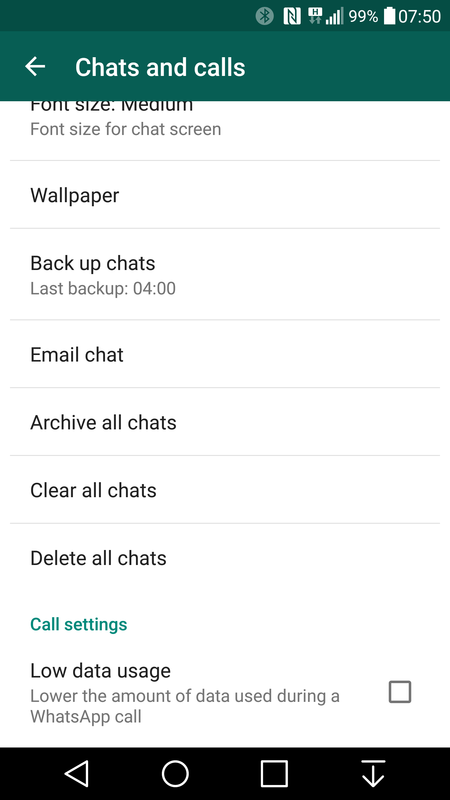 And finally there are two new changes in the app's settings. First is a Low data usage option for voice calls, useful when you're on a limited or slow data plan. 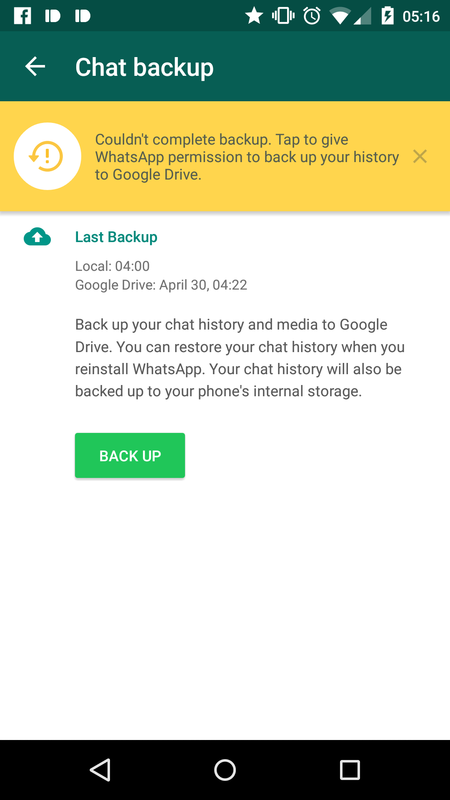 Second is a small hint to Google Drive backups. 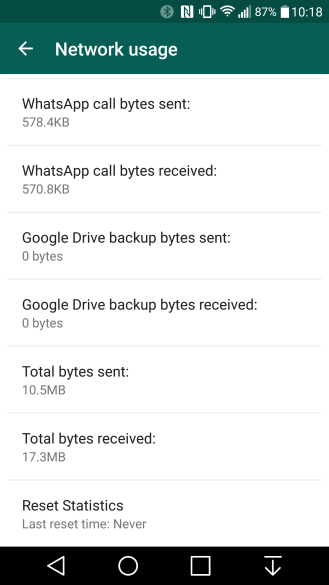 Under Account, Network usage, you'll see Google Drive backup usage tallied along with the app's media, messages, and calls. 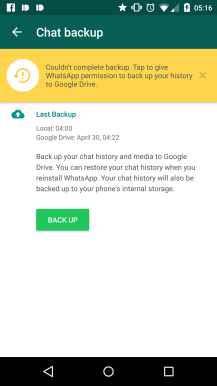 There's still no way to trigger a Google Drive backup — the option was added several months ago then removed — so this could be a sign that Drive backups may be coming again soon or that someone on the developer team forgot to clear out these options before publishing this apk. 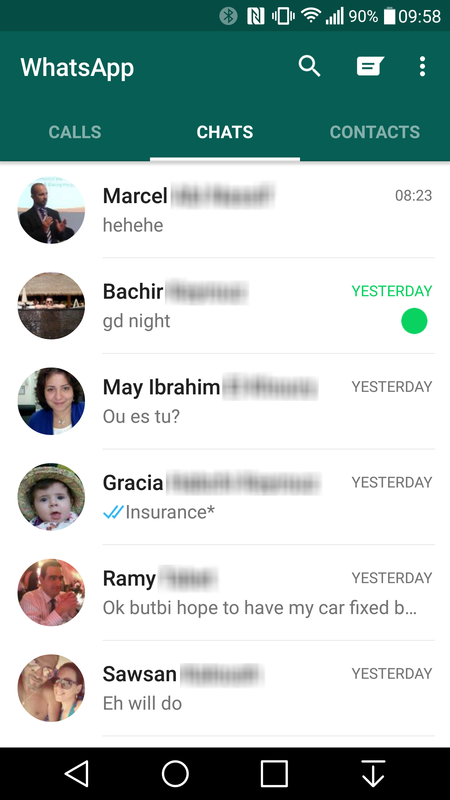 I have to say that I'm rather impressed with WhatsApp's Android development lately. 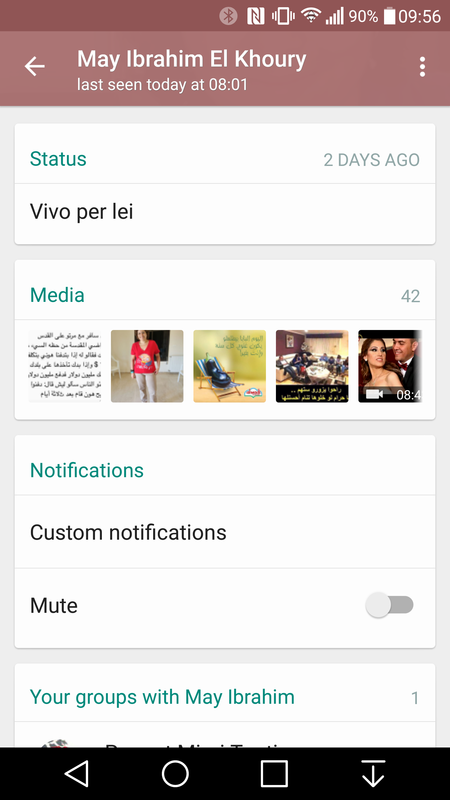 Every couple of weeks, the team surprises us with new features, and keeps on refining them and improving the app's functionality. 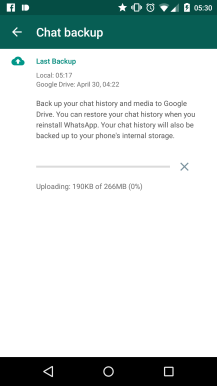 You can download v2.12.194 from APK Mirror to check out all the changes, and keep an eye on the site because we could see a few newer versions in the next couple of hours. 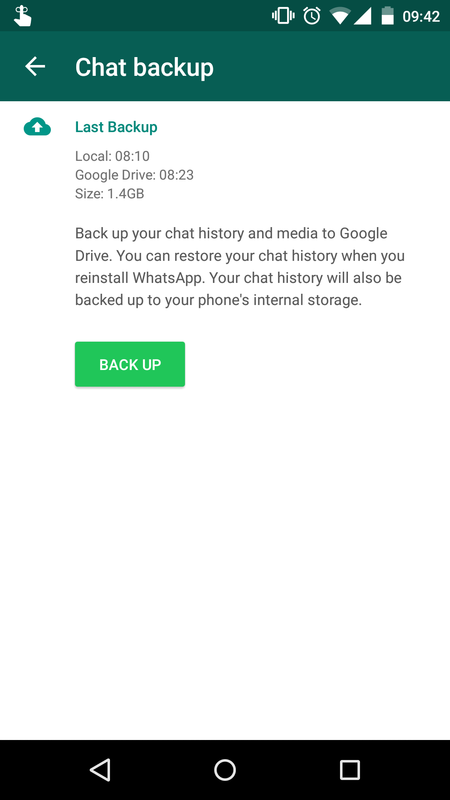 Thanks to several commenters and tipsters, we've now confirmed that Google Drive backup is back in WhatsApp, albeit hidden. 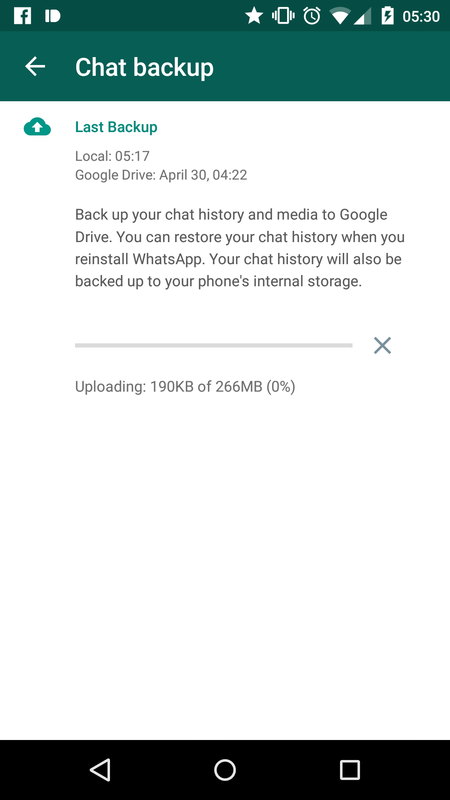 You won't be able to trigger it from anywhere inside the app, but when WhatsApp tries to do its 4:00 local backup, you'll probably get a notification telling you that the backup failed and you need to grant permission to access your Google Drive folders. Upon doing so, the backup will start and you'll have all of your chats and pics (no videos) sent to Google Drive and available to restore from - likely the same way as we discussed previously when the feature first showed up. 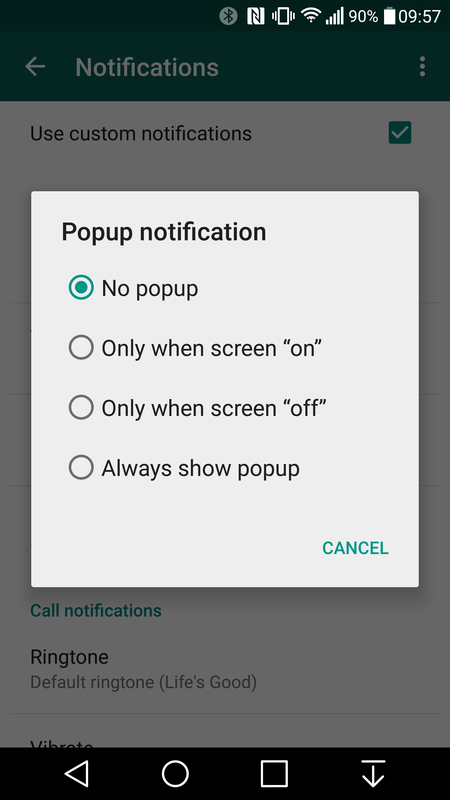 There's no telling whether the option will remain hidden like this or if the more detailed configuration setting screen we saw before will be back later on. 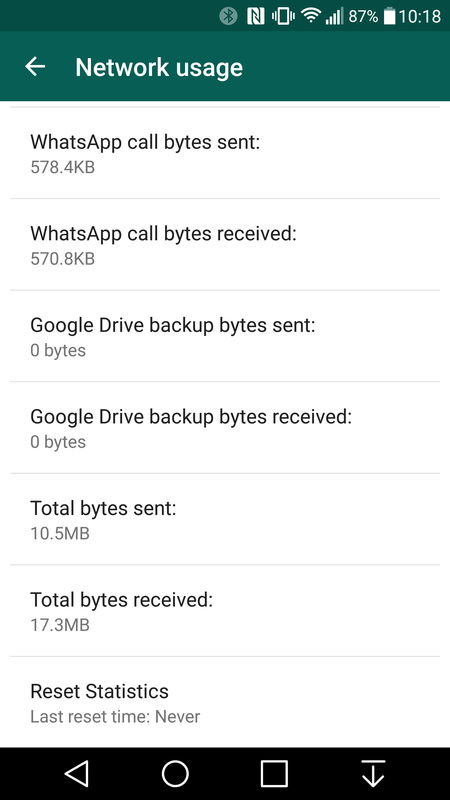 At this point, it's all conjecture whether Drive backups snuck in by mistake or are being tested on early adopters like us. Thanks Samuel, Linus, Michal, and everyone who confirmed the feature as working for them.